Mayawati sacks Naseemuddin Siddiqui: What does this mean for the BSP? BSP's key Muslim face sacked: Is Naseemuddin Siddiqui taking a bullet for the party's poll debacle? 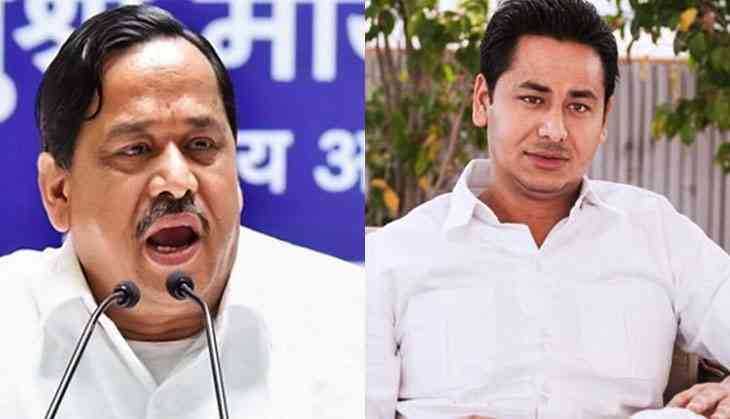 After remaining blind to her former Cabinet colleague’s wheeling-dealings for quite some time, Mayawati sacked Naseemuddin Siddiqui and his son for amassing illegal wealth by indulging in anti-party activities. Siddiqui and his son Afzal, a zonal coordinator for the BSP, were also blamed for the party's debacle in the recent Uttar Pradesh Assembly elections. In 2012, while Siddiqui was still a minister, the Lokayukta ordered a Directorate of Enforcement inquiry against him and his wife Husna, a member of the UP Legislative Council, for possessing assets disproportionate to their known sources of income. Because of the power he wielded due to his proximity with Mayawati, the inquiry was put into cold storage. Lokayukta Justice NK Mehrotra had said the inquiry revealed a clear-cut case of money laundering. The Bharatiya Janata Party (BJP) had then accused Mayawati of shielding Siddiqui. “He has now been sacked for taking money from the party cadre for getting their work done,” Satish Chandra Mishra, party general secretary and a Rajya Sabha member, said Wednesday. After the father-son duo was axed, Mayawati and about 200 senior party leaders went into a huddle at its Lucknow office. Mishra alleged that Siddiqui owned slaughter houses and land in western Uttar Pradesh. Although he was given charge of Bundelkhand in Madhya Pradesh, Siddiqui spent most of his time in western UP and Lucknow, indulging in anti-party activities and amassing wealth, Mishra claimed. “The BSP performed poorly in western UP, Lucknow and Uttarakhand, the regions where Siddiqui was responsible for strengthening the party,” Mishra added. That Sidiqqui had lost the BSP supremo’s trust became evident last month. The party’s most credible Muslim face was shunted off to Madhya Pradesh as an in-charge, following an organisational overhaul in which Mayawati passed on major party responsibilities to her brother Anand Kumar. Siddiqui joined the BSP in 1988 and was made a cabinet minister in 1995 in Mayawati’s first ministry and came to enjoy her trust thereafter. So far BSP leaders like Swami Prasad Maurya, Brajesh Pathak, both BJP ministers now, and the late Akhilesh Das who exited the party had accused Mayawati of selling tickets and party positions to the aspirants. Mayawati has been struggling to find a foothold after her party’s rout in the recent Assembly elections in which the BSP managed to win only 19 seats. With the upcoming local bodies’ elections to be fought on party symbols, her troubles seem to be increasing by the day. Mishra dismissed suggestions that Siddiqui was sacked for hobnobbing with the BJP, which has become the present go to address for all politicians. “No it was not because of that,” Mishra said. He added that given his track record the BJP would not accept him, nor would the Samajwadi Party (SP) where Mohd Azam Khan is too powerful to be toyed with. “It is because he was making money in ticket distribution and other deals. We got to know of his activities only after he was sent to Madhya Pradesh as an in-charge. The party will not tolerate indiscipline,” Mishra said. A former national-level basketball player, Siddiqui began his political career by unsuccessfully contesting the Banda Nagar Nigam president’s election. He joined the BSP the same year and won the 1991 election, but lost in 1993. He bounced back in 1995 and was rewarded with a ministerial berth. What Gayatri Prajapati was to Akhilesh Yadav, Naseemuddin was to Mayawati. Before the 2012 elections, Akhilesh Yadav had promised to pursue the case against Siddiqui with the Lokayukta, but dropped the idea for reasons best known only to him. Swami Prasad Maurya, Mayawati's former cabinet colleague, said that her pot of sins was now overflowing and her political future was growing more bleak by the day. TWEET THIS Mayawati sacks Naseemuddin Siddiqui: What does this mean for the BSP? BSP's key Muslim face sacked: Is Naseemuddin Siddiqui taking a bullet for the party's poll debacle?